This 100% Petite Sirah originates from Ballard Canyon in Orcutt, California. More specifically, a small 3.5 acre block that, prior to 2009, was 1/2 sold each year, and only used as a blending grape. Fermentation takes place over 21 days with an elevage of 24 months in neutral oak. This wine will punch you in the face and run away. It is sneaky quick with fantastic notes of blackberry jam with a dry and quick finish. Nice smokiness with persistent oak notes throughout. You will find yourself going right back to this wine again and again. Best served with grilled steak and good friends. This 100% Viognier originates from Ballard Canyon in Orcutt, California. More specifically, block 4 of the Stolpman Vineyard estate. Fermentation takes place in stainless steel tanks (70%), and neutral French oak Puncheons (30%). Aged for 7 months in tank and oak puncheon. Production is limited to 310 cases. Close your eyes and pretend is it summer. Try sitting a little closer to your fire and pretend it’s the sun upon your face. You will get a balanced wine with a nice finish. The more you drink, the more you will smile. Ripe pear persists throughout with a Granny Smith apple finish. This wine is best served with spicy Asian food. I’m going to order Chicken Pad Thai right now, extra spicy! 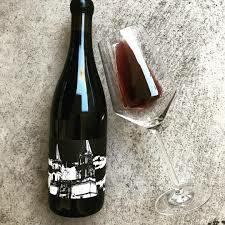 This 100% Grenache originates from the Southern Ballard Canyon, California. Specifically from the Kimsey Vineyard. Vinification includes 100% whole cluster fermentation in stainless steel. Aged 30 months in neutral French oak Barrels and a further 18 months in the bottle. Production is limited to 82 cases. This is a super big Grenache that will hang with the best of them from all around the world. Think Cherry Cola in a bottle. Lots of bright fruit, super smooth, and each sip will make you thirsty for more. This is a people pleaser wine. Everyone will enjoy it. This wine is best served with casual foods. Try it with burgers and hotdogs and your neighborhood friends. (Don’t like any of your neighbors? Invite them over anyways, they’re not that bad). Wine is meant to be shared. 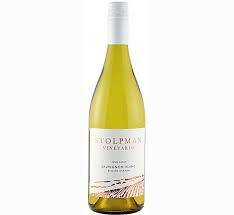 This 100% Sauvignon Blanc originates from Ballard Canyon in Orcutt, California. 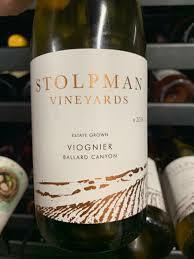 More specifically, blocks 1 & 5 of the Stolpman Vineyard estate. Fermentation takes place in stainless steel (50%), Vache Forest puncheons, (20%), and French Oak Foudre (30%). Harvested between mid August and early September, 2017. Blending takes place in January for bottling in late February. Case production is 2,960. Have you ever had pomelo fruit? It is extraordinary, just like grapefruit without the tartness. You will get citrus fruit throughout with grapefruit with a touch of lime. Super light in weight, clean and crisp. This wine is best served with Mexican food. Throw some avocado, tomatoes, and green onions and you’ll do just fine. Oh, and share with your friends too. 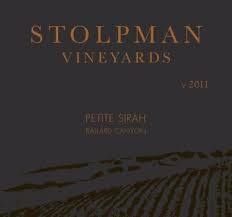 This 100% Syrah originates from block 5 (predominantly) of the Stolpman Estate. Whole-cluster fermentation (60-70%) takes place in open-top concrete tanks. Elevage occurs in 265L “cigars” (30% new) for 15 months. Elegance in a bottle. In one word, this wine is “beautiful.” Superfruit blueberry pie in a bottle. This is a high end wine that lives up to everything a Syrah should be. Tannins are strong yet refined. This amazing wine is best served with barbeque pulled pork sandwiches and sweet potato fries. Enjoy this wine. It is a true delight! 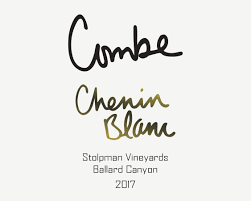 This 100% Chenin Blanc originates from Ballard Canyon in Lompoc, California. More specifically, block 4 of Stolpman Vineyards. The name “Combe” refers to the French word for a small sheltered valley within a vineyard. Fermentation takes place in a combination of French Puncheons and 228L Barrels. Production is limited to 190 cases. This is liquid candy in a bottle. Some people say they get yellow “Starburst” all the way. Others would claim, no!, this is definitely lemonade “Now or Later”. It’s a gentle citrus with a soft and silky finish that goes and goes. Best served with baked goat cheese with olive oil brushed Focaccia bread sprinkled with Rosemary and Romano cheese. This Syrah (50%) and Sangiovese (50%) originates from Block A3 Sangiovese Clone 6 and 23 Block A6 Alban Clone for Syrah. Fermentation takes place in an open top concrete tank with native yeasts. Aged in new french oak (40%) and 265L cigars. Production limited to 750 cases. This is a cherry fruit bomb that tastes awesome right out of the bottle. This is a 15 minute wine. Be careful, it’ll be gone in 15 minutes. 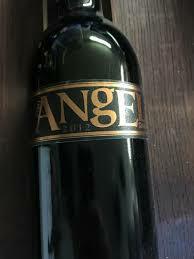 Super smooth with tannins that are approachable and extremely forgiving giving the immensity of this wine. 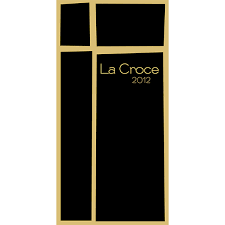 La Croce is simple fruit with a lasting finish that oozes with sophistication. Best served with blue cheese burgers and good friends.